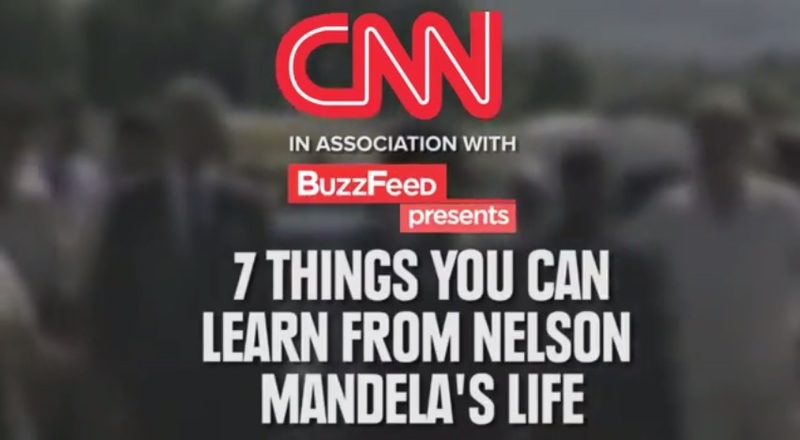 For 27 years Nelson Mandela was imprisoned for his belief in a free and just society. When he was released in 1990 – he led the charge for a multi-racial democracy and a country where the freedoms of one are the freedoms of all. He became South Africa's first black president and a world leader in peace and social change. CNN's Christiane Amanpour reflected on the roots of the leader on "New Day" Friday saying "He was an aristocrat. He came from a very well-born family and he then put himself on the front lines of this struggle for our time." Today's "New Day Midday" looks at an undercover DEA agent that saves a family from a burning truck and Paul Walker's generous gift.